Dogs are great, but they can be a real hassle too. This is definitely the case if you own a large dog. Larger dogs can travel the trails with you much easier. However, you need to understand that they’re going to be a little more demanding than some smaller dogs. One thing that you’ll need to do is make sure that your pooch has a good bed. So, what is the best large dog bed? That is a tough question to answer. 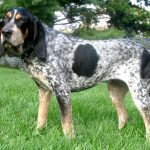 Below, you’re going to find tips and suggestions to ensure you get one of the best dog beds for large breeds. 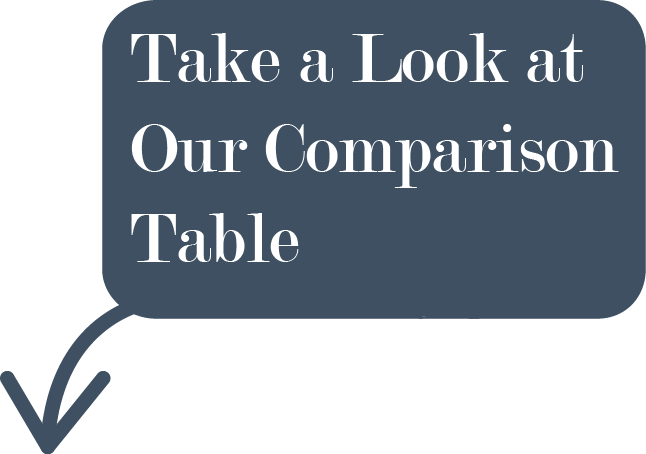 1.1 What To Look For While Choosing The Best Large Dog Bed? 1.1.5 How Easy Is It To Clean? What To Look For While Choosing The Best Large Dog Bed? First and foremost, you should attempt to find out what factors to consider when looking for a good dog bed. Since you’re looking for big dog beds, the factors are going to be slightly different. Remember that breeds ranging from 55 to 85 pounds are considered large. 75 to 120 or more pounds is considered giants. Below, you’ll learn more about the factors that should be considered. Size is obviously vitally important. Large dogs are going to be large in all areas. They’re heavy and they’re much longer than their counterparts. Therefore, you definitely need to pay close attention to the size of the bed. Is it actually going to be big enough to accommodate your dog perfectly? Can you find a suitable place in your home or apart for the bed? Be sure to consider these things when attempting to find a good bed for your oversized pooch. Whether you’re looking for a large or giant dog bed, you need to make sure that it is going to last the test of time. Otherwise, you’re going to be spending out more money to buy a new one in the near future. Pay close attention to the quality of foam. Will it flatten with repeated use? If so, you’ll probably need to replace it very soon. With this in mind, it is best to choose a bed with extra longevity. It is also vital to make sure that your pooch is actually going to like the bed. It needs to be very comfortable. Otherwise, you’re going to be throwing your money away and your dog is going to be sleeping elsewhere. Read reviews or give the bed a good squeeze. Make sure that the bed is soft and comfortable enough to keep your pooch happy. Durability is definitely something you’ll want to take into consideration when buying one of the large pet beds. After all, the best dog beds for large dogs are going to last a lifetime. Large dogs can be tough on their belongings. They’ll probably scratch and chew on their bed. You need to choose one of the extra large dog beds that can withstand that abuse. Otherwise, your money will be wasted. Finally, you’ll want to consider how tough it is going to be to clean that large memory foam dog bed. Does it feature a removable, spill proof cover? That would definitely make things much easier to maintain and clean. If the bed is too tough to clean, there is a good chance that you’re going to become frustrated with it. Then, you’ll toss it in the trash and buy a new one. With that being said, you should make things easier on yourself by buying one that is simple and convenient to keep clean. Are you a dog lover? If so, you probably spend a lot of time ensuring his comfort. It is only natural for people to want their dog to have a comfortable sleeping environment. Well, the solution is no other than the Friends Forever Orthopedic Dog Bed. 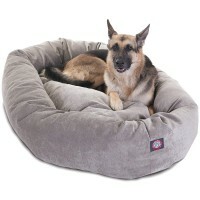 This bed is very versatile, as it acts as a sofa, bed and lounge area for all breeds. Worry no more about your dog’s comfort when you invest in this luxuriously cushioned bed. Like humans, dogs can have accidents, especially the very young and old. Well, do not worry because Friends Forever has you covered with water resistant protection. 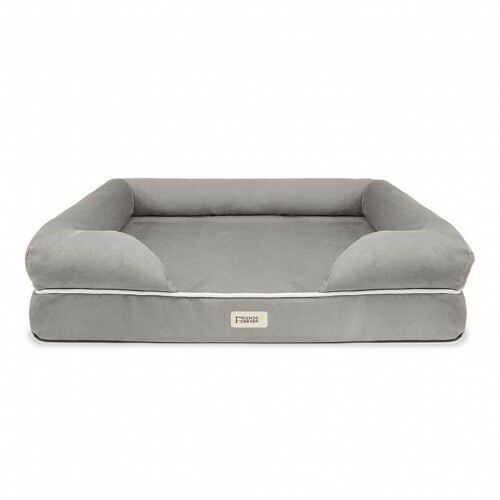 The dog bed is designed with a liner that is capable of resisting moisture and water. Even if your dog does have an accident, the liner will prevent the moisture from penetrating into the poly-fill bolster and other materials. Provide your dog with a comfortable sleeping environment with the Friends Forever Orthopedic Bed. 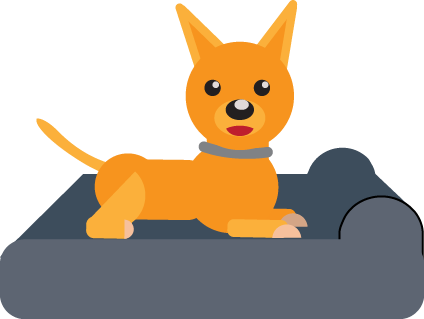 The bed is ideal for dogs with arthritis and joint pain. The poly-fill bolster provides comfort where it is needed most. Does your dog keep you awake at night because he cannot get comfortable? If so, it may be time to consider investing in the Big Barker Orthopedic Dog Bed. 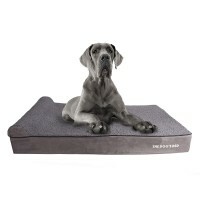 This bed is ideal for even the largest breeds, including the Great Dane and Irish Wolfhound. It will even support two large dogs simultaneously. If your dog is suffering from joint pain related to arthritis and injuries, this bed is the solution. It will not only support your dog’s shoulders, but also his hips. Dog owners know the importance of a clean sleeping environment. With that said, a dog bed will collect dirt, dander and hair, which is extremely hard to remove. Well, that will never be an issue with the Big Barker Dog Bed, because it is designed with a removable cover that is machine washable safe. This will definitely decrease the difficulty of the cleanup process. In fact, you can get this bed cleaned and like new in a matter of minutes! If your dog has arthritis or suffered a hip injury, he will need a special bed. This bed must provide adequate comfort for both the hip and shoulder joints, as well as the head. Fortunately, Majestic Pet spent months perfecting a bed for large breeds with arthritis and injuries. 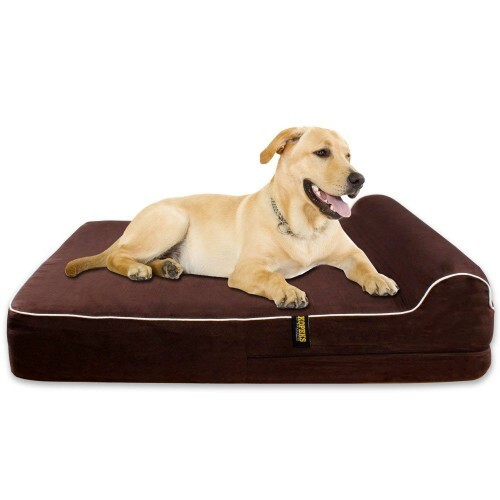 The company’s Villa Bagel Dog Bed is designed from high-quality materials that support the joints, head and spine. Unlike most dog beds, the Majestic Pet Villa Bagel Dog Bed is fully machine washable. This basically means that you can toss it in the washer to ensure a thorough cleaning. The material, including the upholstery and polyester filler will withstand machine washings and gentle air drying. Some beds are too difficult to clean. If you want one that is going to be simple and easy, this one cannot be ignored. Make your dog happy by giving him the Majestic Pet Villa Bagel Dog Bed. The bed is available in various sizes, including 24, 32, 40 and 52 inches. Even though the bed does not have a removable cover, it handles machine washings remarkably. In fact, it will come out of the washing machine in great condition, retaining its form. Some dog beds are going to be more comfortable than others. To ensure that your dog is going to be relaxed all night, you should definitely buy a bed that features a pillow. The KOPEKS Memory Foam Bed does just that. It has a pillow on the side to ensure that your dog’s neck and head will be supported throughout the night. This moderately priced bed features memory foam and that will allow the bed to accommodate the precise shape of your pooch. Additional features of this bed will be explored below for your consideration. This dog bed for large dogs is hypoallergenic. This is very beneficial for you and your dog. Some beds are going to contain materials and fillers that cause your sinuses to flare up. They’ll do the same to your dog. This bed will not since it is hypoallergenic. If you have terrible allergies, this is the bed that you’ll want to buy for your dog! It is true that some beds will slide around like crazy. 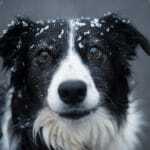 This can create a safety hazard for your dog and it is something that you’ll want to avoid. This is why you’ll love the KOPEKS Bed. It features an anti-slip rubber bottom. You can rest assured knowing that the bed is going to remain in place at all times. Even if your dog jumps into bed, it won’t move anywhere. The KOPEKS Bed is great, but it does have a few problems. Be careful about getting water on the bed and take caution with the zipper. Do that and you’ll love this bed. Otherwise, you might agree that it is too expensive for the overall quality. If you’re willing to spend a little bit more, you’ll definitely want to check out The Dog’s Bed from The Dog’s Balls. This bed is definitely a little more expensive than the alternatives, but it offers a wealth of perks and that helps to justify the price tag a bit. First starters, this is a waterproof bed. 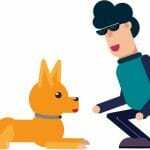 There is a good chance that your dog is going to have accidents. They might even spill water on the bed. With The Dog’s Bed, this won’t be an issue whatsoever. The bed is capable of standing up to the abuse. It also features a washable cover to make the clean-up process so much quicker and easier. Another great thing about this bed is the memory foam. This type of foam ensures that your dog is going to receive the maximum amount of comfort. The foam will mold to your dog’s shape. It will also spring back into place once your dog has moved. This ensures that your dog is comfortable and that the bed’s foam is going to withstand the test of time. This combination definitely helps support the hefty price tag. You’ll also be happy to know that this bed is available in numerous sizes. 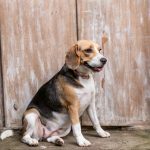 Regardless of your dog’s shape or size, you can guarantee that you’ll be able to find a size that suits their needs. You can also choose from a handful of colors to guarantee that the bed doesn’t create an eyesore in your home. All in all, The Dog’s Bed is great. Just remember that you’re going to be spending a lot here. Still, if you’ve got the extra money and you absolutely love your dog, this one is well worth checking out in more depth!